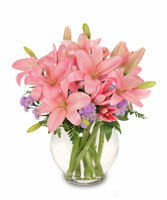 Express your appreciation to any thoughtful friend, loved one or colleague with flowers from GREEN THUMB FLORIST... It's the perfect way to say Thanks a Bunch! Order an arrangement now from our website or call our shop and order today!